On his first day of high school, Franklin meets the girl of his dreams. Literary. plays and practice magic with his friend Maddie. 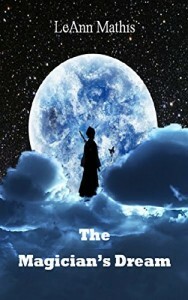 different realm, and when a bomb sets off in the magical realm, the two worlds collide. It’s up to Franklin and Maddie to find and fight the evil magician Julius, who turns out to be different than what they thought. been much better with a little more attention to details. There are numerous typos, grammar errors and even name confusion (Franklin switched with Julius) throughout the book. I usually don’t mind some typos in the text, but there too many to be ignored. I also didn’t like the ending, it felt rushed and it didn’t close all the story lines. It would have been OK if it was the first book in a series, but not for a standalone book.